That old chestnut saying ‘if you don’t succeed the first time…’ could not ring more true than the perseverance and tenacity shown by the staff and pupils at Mount Hawke Academy, in their quest to make their dreams of an adventure playground a reality. On Thursday 24th January 2019, the entire school joined a merry band of supporters to witness the youngest and the oldest School Council Representatives officially cut the ribbon and declare the play equipment well and truly open, spirits undaunted by an unrelenting mizzle. The vision was to provide an outdoor play area which could be used by each and every child throughout the school day while still supporting the Physical Education curriculum. 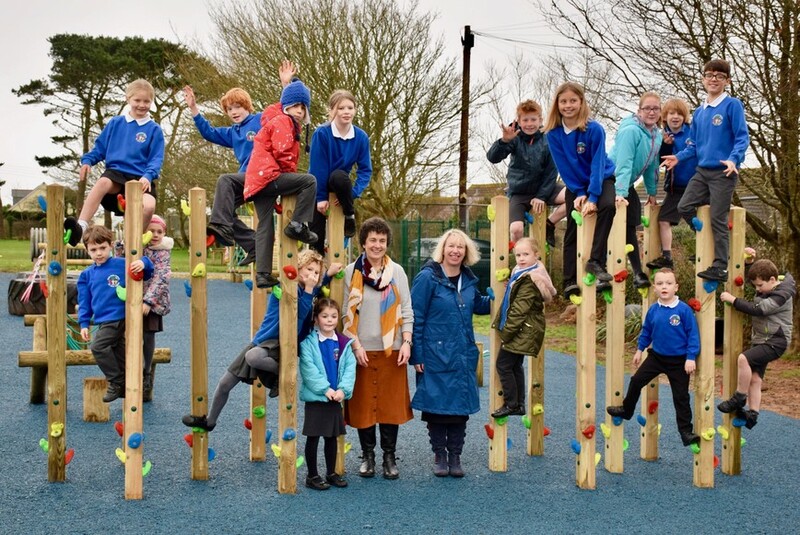 Catherine Biddick, Head of School, said “The adventure playground has been a long time in planning and even longer in raising the money required but it was definitely worth the wait! It just goes to prove what a community can do when they put their minds to it. Our Year 6 children each wrote letters requesting support to local businesses and organisations and they were absolutely not going to be beaten. 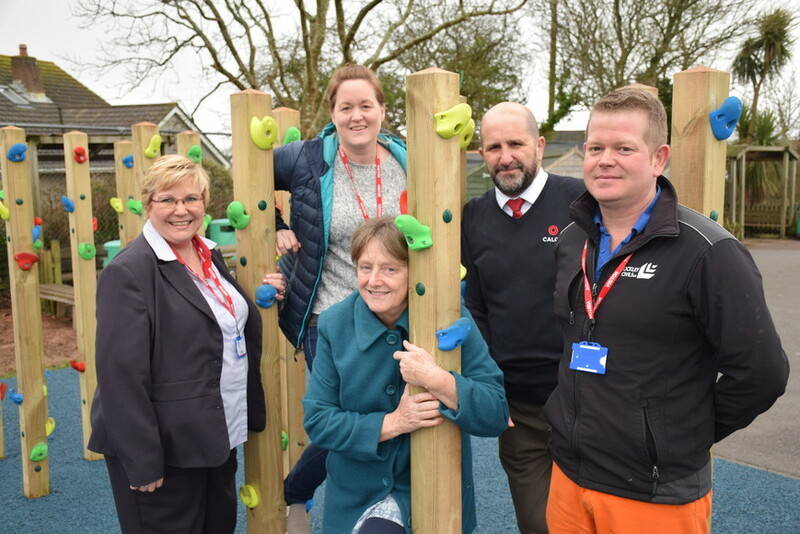 The playground is a wonderful testament to Mount Hawke Academy’s determination and resilience and the generosity and kindness of our supporters”. The adventure playground would not exist without the incredible generosity and support of the Mount Hawke school community and beyond and grateful thanks must be extended to Tesco Bags of Help Scheme (Tesco Extra Redruth), Groundwork South South, The Big Lottery, Calor Gas Rural Community Fund, Lockley Civils Ltd, Isles of Scilly Steamship Company and of course the school’s own dedicated band of fundraising grafters, the Mount Hawke PTA.